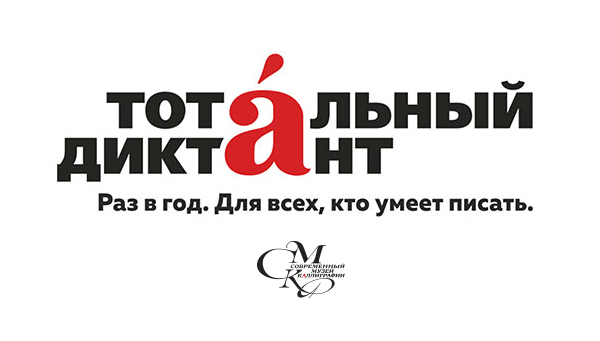 This year the action will be held on 14th of April at 2 p.m. Moscow time in 1000 cities of Russia and all over the world and the Contemporary Museum of calligraphy will be one of the places where the dictation could be written. The Contemporary Museum of calligraphy proposes to the participants to check either their literacy or the skills of calligraphy: optionally the participants may choose whether to write the dictation by pen or ink on our Museum’s grounds. We are going to select the work written with most beautiful handwriting among those who decide to participate and afterwards we will invite the author of the work to a calligraphy master class. Please, kindly take note that for the participation in the contest you are requested to register on the project’s web site. The number of places is restricted! We look forward to seeing you in the Museum!